Combine harvester is one of the main agricultural machinery equipments that used for harvesting grain crops, such as oats, rye, wheat, ect. Knife guard/finger is designed for increasing cutting capacity and harvesting speed. 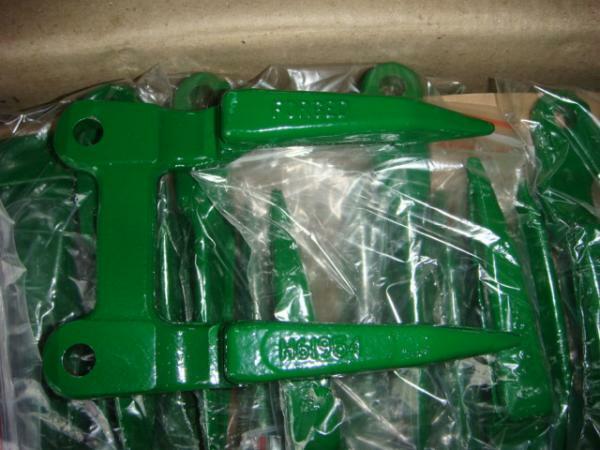 Our combine harvester knife finger/guard are assembled to John Deere, New Holland, Claas, Ford and so on. For its special working condition,wear resistance is the most important factor of forged harvester knife guards. So materials with good wear-reisistance like ASTM 1045 steel or AISI4140 are applied for such products. In addition, we could also improve the wear-resistance of combine harvester kinfe guard/finger by add the hardness after heat treatment. Normally hardness of such products wil be controlled between 50-60HRC. But it does mean the higher the hardness, the better working performance the knife guard/finger will be. Too high hardness will cause products in fragile and easy broken status when woking. Production process of combine harvester knife guard/finger could be made in both casting and drop forging process. By comparison, forged kinfe guards will achieve better working performace for its high strength, which can work longer. 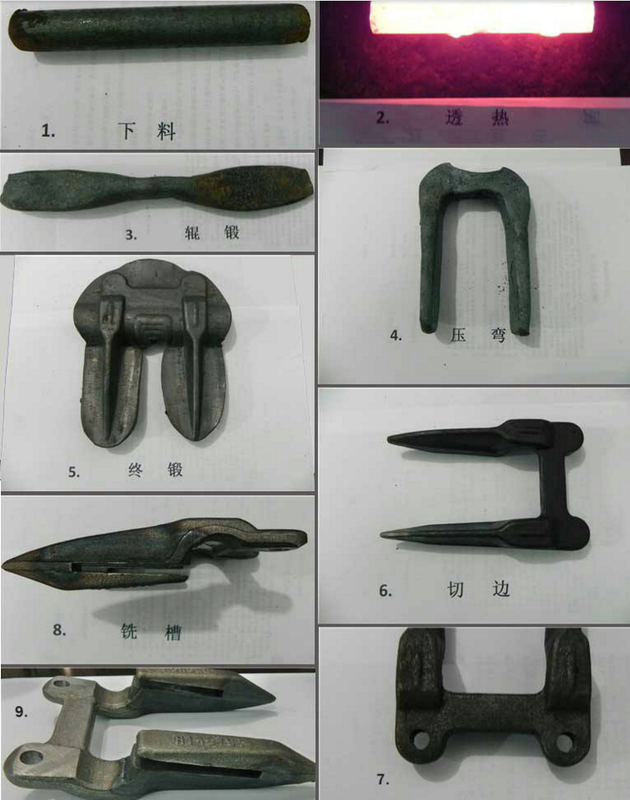 Fly Forge can supply custom combine harvester knife guard/finger for our customers following the drawings or samples. Pls contact us while you have such needs.